John received his bachelor’s degree in 1979 and his juris doctorate in 1982, both from Capital University. He was admitted to the Ohio Bar in 1982; the US District Court, Southern District of Ohio in 1983, and the US Supreme Court in 1998. John's practice spans several areas of civil litigation. In particular, he concentrates on Personal Injury and Wrongful Death Law, and several Oil & Gas related matters. 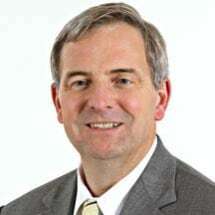 John serves as the Chairman of the Fairfield County Branch of the Central Ohio Arthritis Foundation and is a former President of the William V. Fisher Catholic High School Board of Education. He has served on the Fairfield County Mental Health Board, Lancaster City Council, the Teenage Pregnancy Prevention Board and was a Lancaster City Councilman for three terms. Additionally, he is a 30-plus year member of the Lancaster Rotary Club where he is a multiple Paul Harris Fellow. John is also Vice President of the Fairhope Hospice and Palliative Care Board and past President of the Fairfield County Bar Association. John is currently a member if the Fairfield County and Ohio State Bar Associations, the Ohio Trial Lawyers Association, and the Million Dollar Advocates Forum. He is a Board Certified Civil Trial Advocate by the National Board of Trial Advocacy.